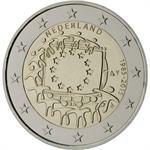 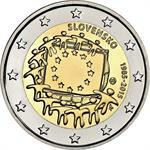 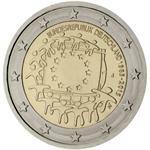 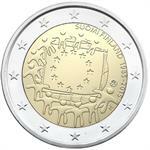 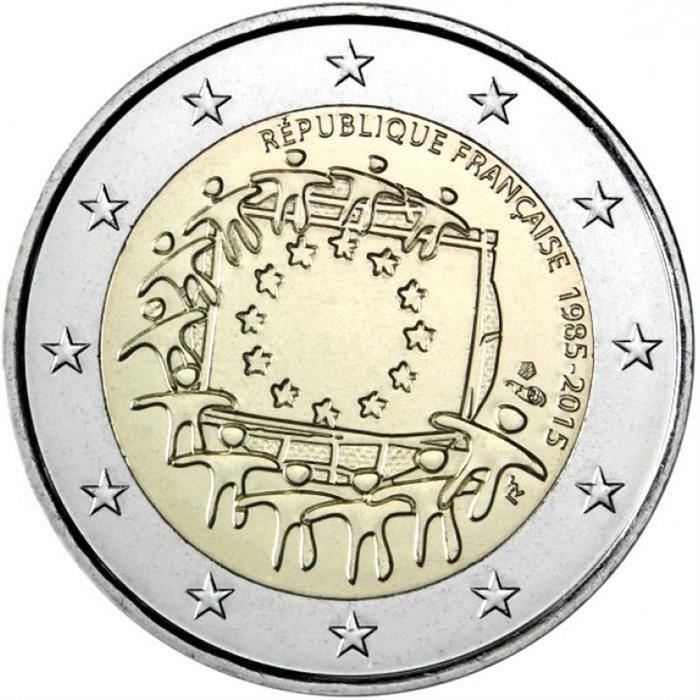 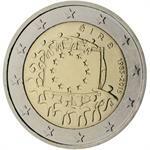 Home > eu topics > symbols > 2015 France €2 Coin Issue "EU Flag 30 Years"
2015 France €2 Coin Issue "EU Flag 30 Years"
In 2015, the nineteen euro-area countries will jointly issue a commemorative euro coin to celebrate 30 years of the EU flag. 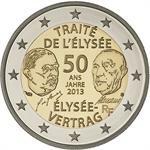 This is the fourth time the euro-area members have decided to collectively issue a commemorative coin: The first three common commemorative coins were issued in 2007 (50 years of the Treaty of Rome), 2009 (10 years of Economic and Monetary Union) and 2012 (10 years of euro cash). 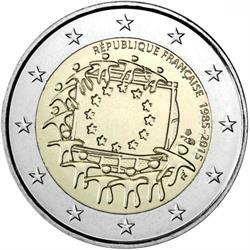 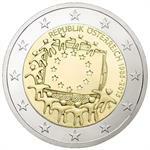 The design of the special two-euro piece paying tribute to the 30th anniversary of the EU flag was chosen through a design contest organized by the European Commission. 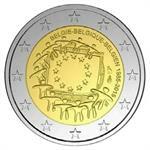 A total of 62 submissions were made by Eurozone mints, and a preliminary jury selected five submissions for voting by EU citizens. 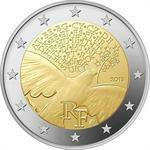 The winning design, with 30% of the online vote, was by the hand of Georgios Stamatopoulos from the Bank Of Greece. 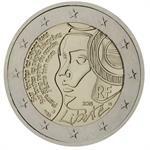 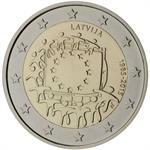 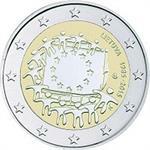 2015 Lithuania €2 Coin Issue "EU Flag 30 Years"
2015 Latvia €2 Coin Issue "EU Flag 30 Years"
2015 Germany €2 UNC Coin Issue "EU Flag 30 Years"
2015 Slovakia €2 Coin Issue "EU Flag 30 Years"
2015 Austria €2 UNC Coin "EU Flag 30 Years"
2015 Netherlands €2 Coin Issue "EU Flag 30 Years"
2015 Ireland €2 UNC Coin "EU Flag 30 Years"
2015 Finland €2 Coin Issue "EU Flag 30 Years"
2015 France €2 Coin Issue "Festival of Federation 225 Years"
2015 France €2 Coin Issue "Peace in Europe 70 Years"
2013 France €2 Coin Issue "Elysee Treaty 50 Years"